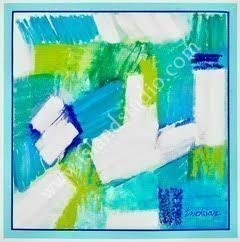 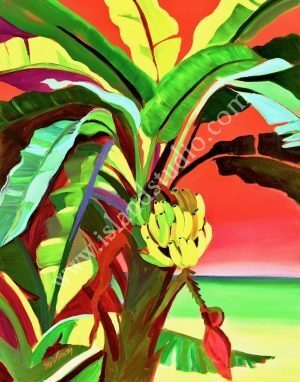 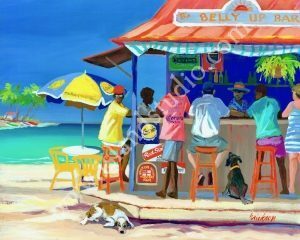 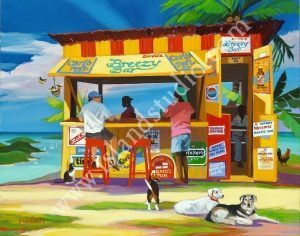 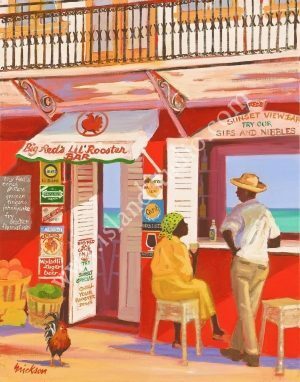 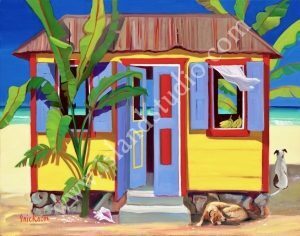 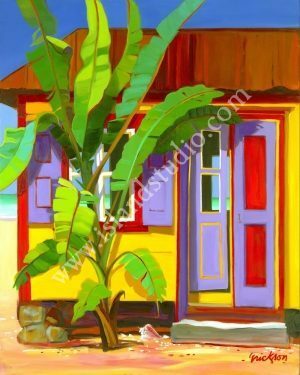 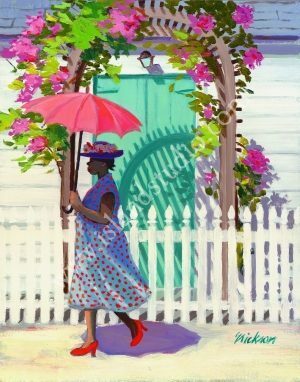 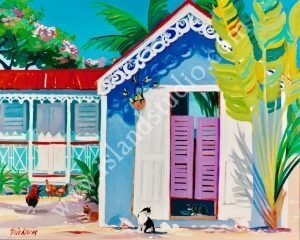 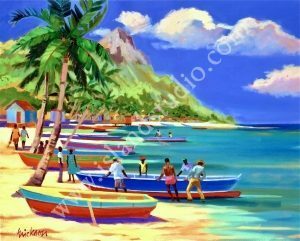 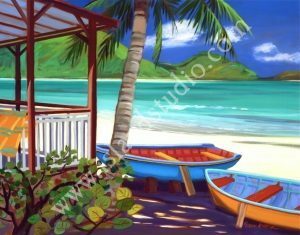 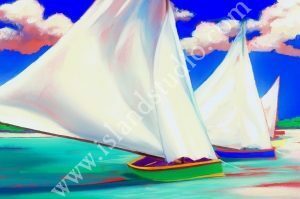 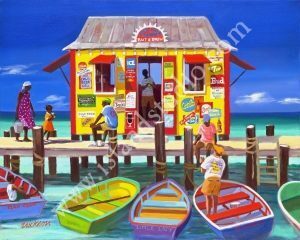 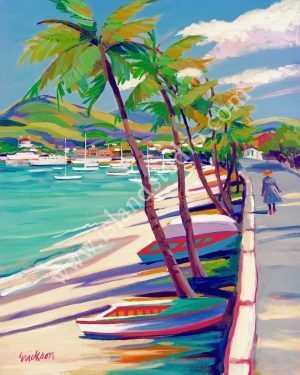 Bring the spirit of the islands to your home with one of Shari’s paintings that expertly capture the vibrant culture of the Caribbean. 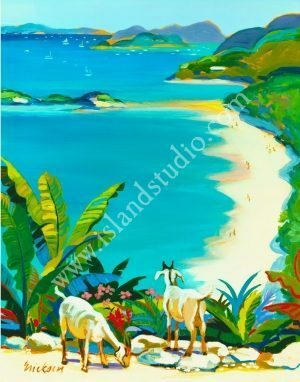 Through the creative contemplation of people and places, Erickson’s work translates the magical allure of island life through saturated colors and simple yet elegant homage to the beauty she finds in her island explorations. 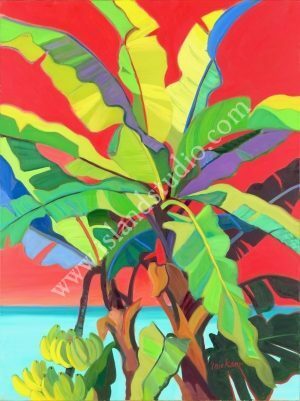 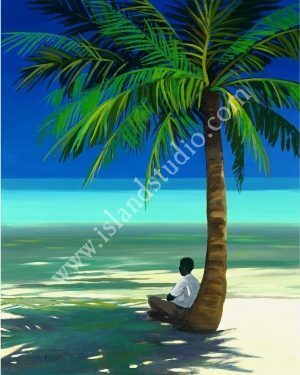 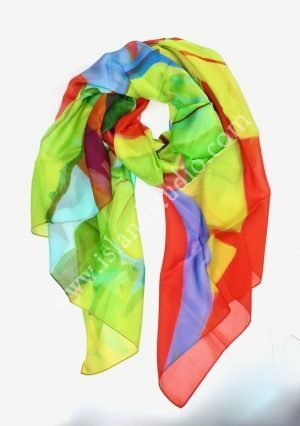 The extensive library of work from Island Studios is available in a wide range of sizes in either photo mat prints, giclee canvas prints, and a new line of scarves.